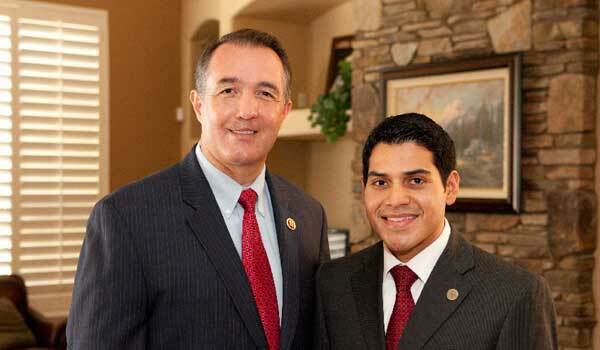 In December of last year my good friend Congressman Trent Franks (R-AZ) resigned his seat, in my opinion unnecessarily. He was accused of “sexual harassment” because of a comment he made years ago when he and his wife were searching for a surrogate to carry a child for them. I had been in his office on a couple of occasions when he mentioned the problems he and his wife had in having children. His comments that he would “pay a million dollars” to get a good surrogate mother were not meant literally and were not sexual harrassment, although anything can be twisted by someone who wants to benefit from another person’s misfortune. Congressman Franks has endorsed State Sen. Steve Montenegro to take his seat in Arizona’s 8th district. PROBLEM: We neeed to replace Trent Franks who was the chairman of the International Religious Freedom Caucus and one of the greatest advocates for issues important to social conservatives, such as charter schools, school choice, adoption and efforts to support life and end abortion on demand. ANSWER: A good choice would be Arizona State Senator Steve Montenegro, who at one time served on the staff of Congressman Franks. Senator Montenegro has been on the forefront in fighting against abortion on demand and for traditional family values in both the Arizona state legislature and in the State Senate. Senator Montenegro holds an Associate of Arts in Theology from CBAN and Logos Christian University and currently serves as an assistant pastor/youth pastor at the Surprise Apostolic Assembly. Steve is also a trustee of the Arizona Christian University. His parents immigrated to the United States legally when Steve was five years old, and Steve’s father is a well respected pastor also. Senator Montenegro has been a leader since first being elected to the State Legislature in 2008. He served as the Majority Leader of the GOP in his second term and was Speaker pro-tem at one point. He is one smart guy and a rising star in the GOP. Government Is Not God – PAC has endorsed Senator Montenegro in the Arizona 8th district special election on February 22nd. I urge you to go to his Internet site and donate today to help elect him. I look forward to working with him on important issues of religious freedom and social issues once he is here. Donate today at www.SteveMontenegro.com. And please help GING-PAC elect Steve Montenegro and more like him to Congress! There will be other special elections this year and an important general election in November. Sen. Jeff Flake (R-AZ) has announced he will not run for reelection this year. This is yet another opportunity for the Democrats to take over the Senate, in which the Republicans hold only a 51-49 majority. Dr. Kelli Ward, who ran against John McCain in 2016, announced she would run against Flake, who had moved to the left after taking office. Ward, who is a medical doctor and former Arizona state Senator, was endorsed by GING-PAC in the 2016 Senate primary where she unsuccessfully challenged Senator John McCain. Kelli is a Christian and a genuine anti-abortion social conservative. GING-PAC has not as yet endorsed Kelli Ward or anyone else for the seat of departing Senator Flake for a couple of reasons. First, because Kelli Ward may actually seek Senator McCain’s seat should he depart the Senate this year. Senator John McCain’s brain cancer continues to spread and he has not been able to return to Washington to vote for several weeks. It is now doubtful that he will return to the Senate again this year. Social conservatives in Arizona need to be recruiting a replacement for him as he reaches the end of his life. While we certainly respect Senator John McCain for enduring years of torture at the hands of his North Vietnamese captors during the Vietnam War, his time in the Senate has been a disaster for the social conservative cause. He has too often voted with Democrats for big government programs and was the number one advocate to support Sunni Muslim rebels seeking to overthrow the secular Syrian government. I am closely watching the situation in Arizona. Kelli Ward may indeed at a later time be endorsed by GING PAC for an Arizona Senate seat, but we will wait to see who all the candidates are before formally endorsing anyone. Michele Bachmann May Seek Al Franken’s Minnesota Senate Seat! The vicious Sen. Al Franken (D-MN) resigned his seat in the Senate during the first week of 2018 over a barrage of sexual harassment allegations against him. He was arrogant, self-serving and venal – the perfect liberal politician. Democrats will likely replace him with someone much younger and far more radical. Senator Keith Ellison sounds like a nightmare. 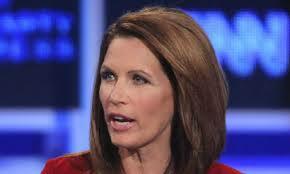 Senator Michele Bachmann sounds great. Senator Bob Corker Finally Retires – Marsha Blackburn Seeks Senate Seat! Tennessee Senator Bob Corker won’t run for re-election in 2018. Senator Corker, like Senator Flake, has been a major disappointment for conservatives who supported his election. It was Senator Corker who as chairman of the Foreign Relations Committee held up the Iraq and Syria Genocide Relief and Accountability Act of 2017 which I worked hard to get passed, in my capacity as chairman of the Religious Freedom Coalition. After months of delay, Corker stripped out the language that would assist Christians and replaced it with anti-Russian rhetoric. Congresswoman Marsha Blackburn is openly seeking to replace Corker in the Senate. Marsha has been an advocate for social conservative causes in the House. She was first elected to the House in 2003 and has a 100% pro-life voting record, according to National Right to Life. She is an economic, defense, and social conservative. We think she would make an excellent replacement for Bob Corker who has consistently betrayed Tennesseans who put him in office. Bad News in Utah Senate Race! Senator Orrin Hatch (R-UT) is the longest serving member of the U.S. Senate. He has been in office since 1977, but this year is retiring at age 83. Unfortunately, at this point his replacement looks like it might be “moderate” Mitt Romney, who has run several times for President. He lost an easily winnable campaign against Barack Hussein Obama in 2012 because of pure arrogance and mismanagement. GING-PAC supported Congresswoman Mia Love’s name has been floated as a possible replacement for Hatch, but we have no idea if she would be interested in leaving the House. She would be a really great replacement for Hatch. If there is no aggressive social conservative challenger to Mitt Romney, it is likely he will easily become the next Senator from Utah. He has made his hatred for President Trump very clear, which means he will refuse to work with the Republican majority. On the other hand, Romney could accomplish the unthinkable with his poor campaigning techniques, and lose to a leftist, giving this valued Utah Senate seat to a Democrat. GING-PAC endorsed lawmakers working for our agenda in Washington! Oklahoma Sen. James Lankford is taking over leadership of the Senate Values Action Team (VAT). It has been chaired by Sen. Roy Blunt (R-MO) for seven years, but now Blunt will become co-chairman. The VAT is an important legislative group in Congress. The members of this group, which includes numerous GING-PAC endorsed lawmakers, promote social conservative policies and legislation. They have taken leadership roles in defending religious liberty, working to defund Planned Parenthood and much more. Both Lankford and Blunt are GING-PAC lawmakers. Arkansas Sen. Tom Cotton: End Chain Migration Now! 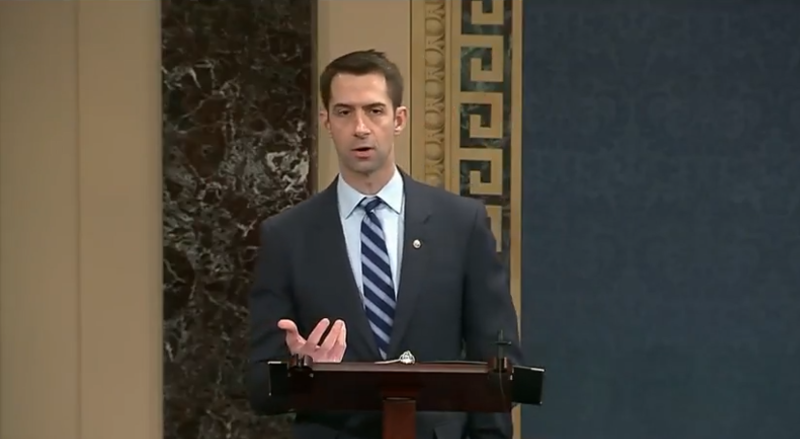 Sen. Tom Cotton gave a powerful speech on the Senate floor on January 8 to demand that Congress end chain migration in its overhaul of our immigration system. He notes that chain migration is currently based only on family ties, not on merit. He noted that only one in 15 immigrants who arrive in America each year come because of their merit. Democrats, of course, want wide open borders so they can import millions of future Democrat voters into America. If chain migration continues, America’s demographics will shift and the Democrat Party will have created a one-party state in America. We will no longer have a Constitutional Republic, but a system resembling the Banana Republics in Latin America – where citizens are ruled by one-party totalitarian rulers. Do we really want America to look like Venezuela or Mexico? Democrats are fine with that scenario, because they’ll be the totalitarians ruling over us. Four GING-PAC endorsed Congressmen are deserving of our appreciation for their role in exposing the Deep State corruption within the Obama Department of Justice and the FBI. They have done amazing work in forcing government bureaucrats to reveal the astonishing conspiracy within the Department of Justice and the FBI in colluding with Hillary Clinton and the Russian operatives to undermine the presidency of Donald Trump. Congressman Devin Nunes (R-CA) heads up the House Intelligence Committee; Bob Goodlatte chairs the House Judiciary Committee and Jim Jordan and Trey Gowdy serve on one or both of these committees. They are determined to find out if a fake Russian dossier on Trump – created a leftist and paid for by the Democratic National Committee and Hillary Clinton’s campaign was used as an excuse to spy on Trump and his campaign staff before and after his successful run for President. These four GING-PAC lawmakers are demanding answers and documents that will ultimately prove that a vast conspiracy existed in the Deep State to protect Hillary Clinton from prosecution. We need more like them! As many as 45 Members of Congress are retiring this year. Please help GING-PAC elect family friendly, social conservative candidates this year November.